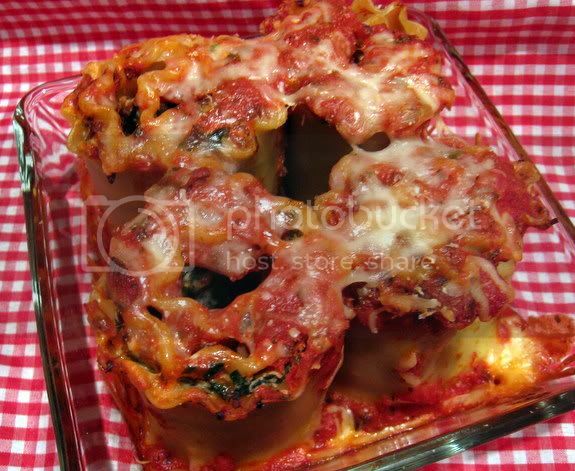 Portobello Lasagna Rollups, hosted byMarthe of Culinary Delights was the choice for the Craving Ellie in My Belly crew this week. I felt a little like I got lucky because this was the other main recipe I was debating on with last week's turkey roulade. I ended up choosing the turkey roulade, and then, lookey there, Marthe chose the lasagna rollups! So big thanks to Marthe for choosing this one so I didn't have to wait! Let me preface this entire post with saying that I have never liked mushrooms. 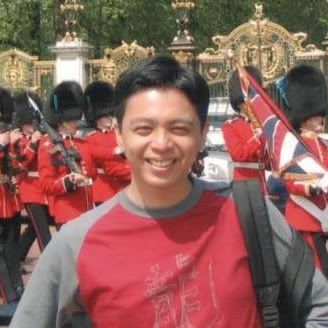 My husband, he is a big fan, me not so much. That said, I have learned to like (a little) cremini mushrooms, which are what grow up to be portobellos anyway, so I used the package of cremini's I had in the fridge. I ended up with a little less mushroom than the recipe calls for, but I was proud of myself for not throwing some hamburger into the mix anyway. Granted, next time I make this, odds are good I will do a hamburger version, but at least I gave it a try. This was pretty easy and fun to make and looked really pretty. Not surprisingly, the husband liked it more than me, but I still thought it was really good. I just still wanted more cheese/sauce and probably some meat. Since it made more than my husband and I could eat, I chose to deliver dinner to my lovely neighbors across the street who are always kind enough to let Aidan go and play (and play and play) at their house with their little boy. Aidan just loves it and it gives me a nice break! So, since Aidan was there playing again we took them a pan of the lasagna rollups and some focaccia. The focaccia is a recipe I had bookmarked from the King Arthur Flour website a while back but never got around to making it. When darling Melanie made it a while ago, and gave it a glowing review, I knew I would be making it soon. 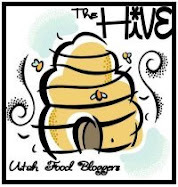 Melanie has so many amazing recipes, especially fantastic dinner ideas, on her blog that whenever I am trying to come up with something I know will be good, I just go there first. I have made at least 7 or 8 meals from her blog and, sorry to tell you, they don't get their picture taken because I scarf them too fast. I am trying to do better about that. 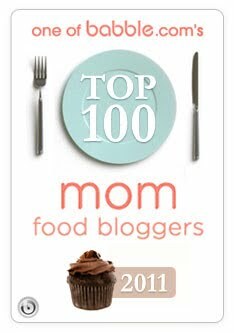 Just know that her recipes are fantastic and you should try them all. While I am pretty obsessive about my baking being from scratch, I do take some shortcuts with cooking. Probably one of the main examples of this for me is pasta sauce. I know I could make my own, but the fact of the matter is that, other than at my favorite restaurant in Salt Lake to get spaghetti at, I haven't been able to make a version that either tastes better, or costs me less money, than just using the bottled stuff. I am, however, very particular about what I like. There is actually only one brand of the store-bought stuff that I have ever liked, and that is Prego. I have tried several other brands, but I just don't like the flavor or texture. So, why am I telling you this? Well, because recently I received an email from some nice folks that work with Prego that offered to send me some samples of some of their products. So, of course I said yes! Aside from that lovely garlic and parsley blend they sent me (which I am now hooked on and can't wait to see what other varieties they have) they sent me a jar of their Fresh Mushroom Italian Sauce (and a couple of other items that I will be using soon). 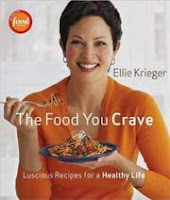 I decided that this week's Craving Ellie in My Belly pick would be the perfect time to use that jar of sauce, since even Ellie suggests in the recipe that you can use her sauce or store bought. For me, it is one of those things where, since I haven't gotten results that are better than the affordability and quality, not to mention the ease, of cracking open that bottle, the choice was a no brainer for me. Maybe someday, when I have time, patience and money/room to grow the garden I want, that will change. In the meantime, I am glad that I have options! The reason I didn't just make Ellie's recipe for the Easy Tomato Sauce (which you can find here) is because I really don't like chunky sauce - at all. So, while the Prego sauces have chunky options, the sauces I buy have some chunks, but not a ton, which is perfect for us. I included some tips in my adapted version of the recipe below to tell you how I easily and cleanly like to make lasagna - it has to do with spreading the ricotta mixture, which is always the biggest mess and pain in my humble opinion. Don't forget to check out the new Craving Ellie in My Belly blog to see how the others did with their lasagna rolling experiences! Spread 1 cup of tomato sauce on the bottom of a 9 by 12-inch baking dish. Spread about 2 tablespoons of the ricotta mixture onto a lasagna noodle (I dump the mixture into a zip-top bag and snip off a corner, then pipe the desired amount easily and cleanly on top of each noodle, then just spread a bit with the back of a spoon). Top with about 1 1/2 tablespoons of the mushroom mixture, roll the noodle and place it into the baking dish. Repeat with the remaining noodles. Spread the remaining 1 1/2 cups of sauce over the lasagna rolls. Top with grated cheeses, cover loosely with foil, and bake for 45 minutes. Uncover and bake for 15 minutes more. Lightly grease a 9" x 13" pan, and drizzle 1 to 2 tablespoons olive oil in the bottom. Combine all of the ingredients (except the shredded cheese and herb blend if using) and beat at high speed with an electric mixer for 60 seconds (add the cheese at this point until mixed in, if using). Scoop the sticky batter into the prepared pan and stretch to the edges as best you can. Cover the pan, and let it rise at room temperature for 60 minutes, till it is puffy. While the dough is rising, preheat the oven to 375°F. Gently poke the dough all over with your index finger. Drizzle it lightly with olive oil, and sprinkle with the herb blend, if desired. Bake the bread till it's golden brown, 35 to 40 minutes. Remove it from the oven, wait 5 minutes, then turn it out of the pan onto a rack. Serve warm or at room temperature. Hee! I will second your being very, very, very particular! But at least we know what trickles through here has the Holly Seal of Approval! ;) Yeah, I agree, Prego is great. I actually like my pasta with a little more pasta than stuff. But whatever the ratio, I'll gladly have those rollups! Hard to believe they're from a healthy cookbook! 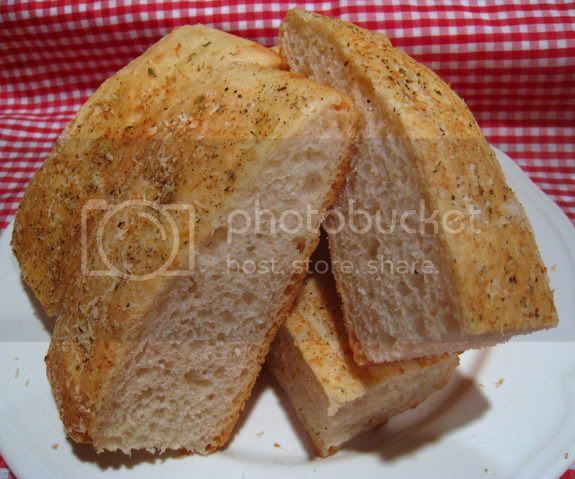 Looking at your foccacia pictures is making me kick myself. I wanted bread with my lasagna rollups but I didn't get a chance to make any last night. Love your filling method. You must be a baker huh? ;) I bet it was a great dinner all around. What lucky neighbors you have! Can I be your neighbor? 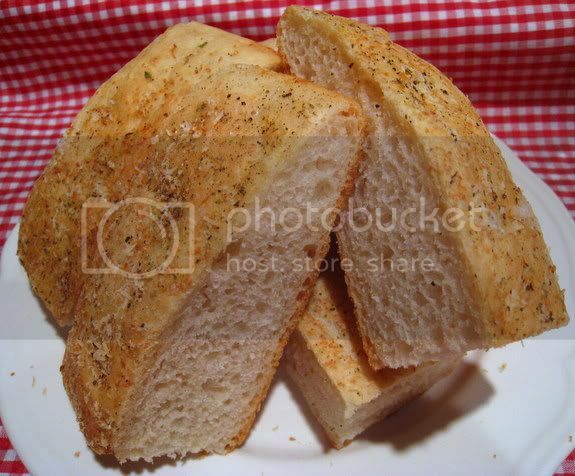 Oh wow, your focaccia looks incredible! Sorry you're not a mushroom fan - they really stood out in this. And I agree - hamburger would definitely boost the dish up. Yum, yours look absolutely delicious! I love that they're standing up, mine weren't able to do that! Yummy looking rollups that are standing up! Oh and focaccia as well. I made bread too but nothing like your focaccia! I'm not really a fan of mushrooms either but you have me salivating! I'm going to have to try this one out. I LOVE LOVE LOVE focacia!It is eaten alot in Australia. In fact it is common to have your sandwhiches made with focacia bread. mmmmmmmmmm! I completely agree with you about the chunky tomato sauce. I wish that I would have went the Prego route. I couldn't get my roll-ups to stand. Good job! 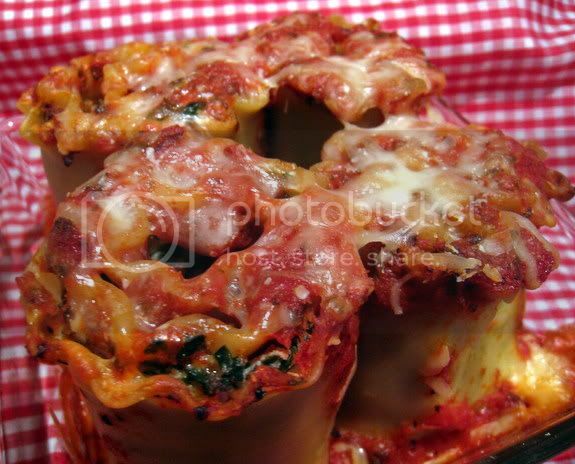 I've wanted to make lasagna rollups for a while. I'm glad you included all your tips and how you made it work (and what you thought of it). By the way, your KAF foccacia looks much prettier than mine. Love it! I usually make my own pasta sauce but I just bought some from The Silver Palate that's not too bad. I like your tip about piping the ricotta mixture- nice to avoid the mess. What lucky neighbors you have the foccacia is gorgeous as well as the rollups! I always pipe my ricotta mixture when I make these too. It is so much easier. I'm adding this one to my menu for this coming week. Not sure I have enough guts to do the mushrooms though. I may have to be a sucker and use hamburger. When you say marinara sauce, did you just use canned tomato sauce or did you use a spaghetti marinara sauce? Wow, these look delicious! I love the portobello mushrooms in them! I love portobellos! What a great dinner idea. The lasagna looks like one I'd love, and the foccacia - one I'd definitely love! !